To stop the overuse of antibiotics, and save our life-saving medicines, we’re getting big farms and restaurants to do their part. Researchers at the Washington University School of Medicine recently estimated that up to 162,000 Americans die each year from antibiotic resistant infections, which would make them the third leading cause of death in the United States. The World Health Organization, American Academy of Pediatrics and several other health experts warn that the widespread overuse of antibiotics on factory farms is putting our health at risk. Nearly two thirds of medically important antibiotics sold in the U.S. are for use on factory farms. We know we can get factory farms to stop misusing our life-saving medicines if their biggest customers commit to buying meat that’s been raised without routine antibiotics. 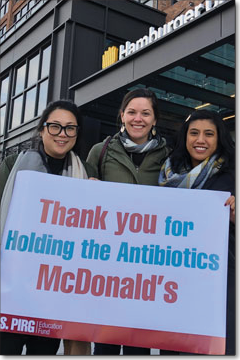 Over the past few years we’ve helped convince McDonald’s, Subway, KFC and others to commit to stop buying chicken raised on antibiotics important to human medicine. The result? In the near future, we estimate that nearly half the chicken in this country will be raised without the routine use of medically important antibiotics. We’re talking billions of chickens each year. After a year-long campaign targeting the largest purchaser of beef in the United States, we secured a commitment from McDonald’s that it will reduce medically important antibiotics use in its beef supply. Now we're calling on Wendy's — the next major beef buyer — to act. Wendy's is the third largest burger chain in the United States and has significant purchasing power. If it commits to serving only beef raised without routine antibiotic use, it will help shift the industry. 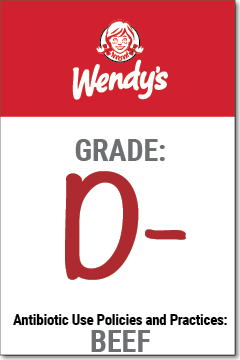 The company has taken modest steps to reduce antibiotic use in its beef supply chain, which earned Wendy's a D- on the recent Chain Reaction IV: Burger Edition scorecard that graded top burger chains on antibiotic use policies. If we want to save our antibiotics, we need to stop the overuse of these life-saving drugs by all large industrial farms. So we’re focused on getting the top restaurants in the country to stop buying any meat that’s been raised with the routine use of medically important antibiotics. 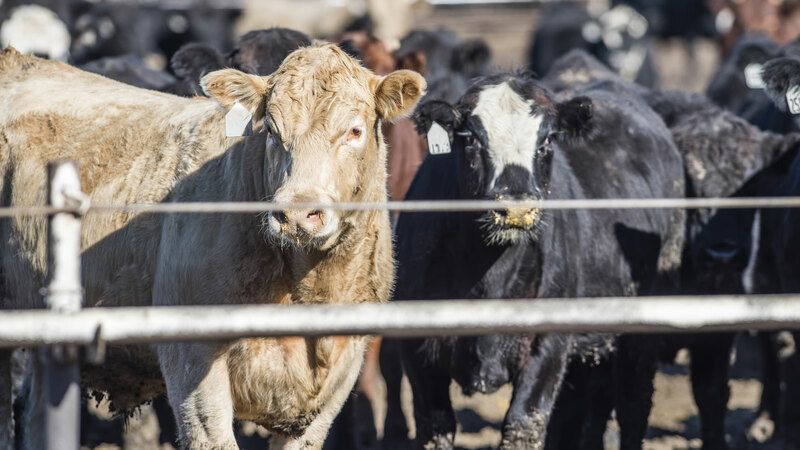 After running a yearlong campaign with our partners, we helped convince McDonald’s, the largest beef buyer in the U.S., to commit to monitor and reduce the use of medically important antibiotics in its global beef supply chain. That was a big deal, and should spark industry wide change, but it’s not over yet. The beef industry purchases the most medically important antibiotics out of any meat sector. We need more major buyers to commit to eliminating routine antibiotic use in their beef supply chains. That’s why we’re now calling on Wendy’s, the country’s third largest burger chain to no longer purchase beef raised with our life-saving medicines. If Wendy’s acts, it will help accelerate the change McDonald’s sparked. And we don’t have time to waste. Experts estimate that without swift action to reduce antibiotic use in human health care and agriculture, more people could die worldwide every year from drug-resistant infections by 2050 than cancer kills today. 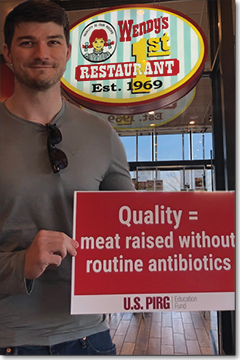 Gathering photo petitions and signatures calling on Wendy’s to eliminate medically important antibiotics from its beef supply chain will be critical to demonstrating public support for action. The surest way to get more restaurants to take action is to demonstrate just how much support there is for change and how big of an impact this could have on this growing public health threat. We know that people and the medical community are behind us. In a poll released by U.S. PIRG and Consumer Reports, 93 percent of doctors polled said they were concerned about the practice of using antibiotics on healthy animals for growth promotion and disease prevention. And 300,000 people have added their names in support for our call to stop the overuse of antibiotics. McDonald's recently committed to monitor and reduce the use of medically important antibiotics in its beef supply chain. Wendy’s, the third largest burger chain in the United States, can build on that progress by phasing routine antibiotic use out of its entire beef supply chain. To make sure state leaders, corporate CEOs and public officials understand the grave public health consequences of antibiotic resistance, we created the Health Professional Action Network. Health professionals are on the front lines of this problem, seeing patients with infections that were once easily treatable turn into dangerous and sometimes deadly illnesses. That’s why more than 50,000 of them have signed onto our efforts to stop the overuse of antibiotics. We have a group of physicians and health experts who are trained and ready to be our voice in the media, in state capitols, and wherever we need to counter misleading claims or advocate for new solutions.